I’ve been writing a weekly column at Colorlines these last five months. My areas of focus are gender and race, so I’ve written about all sorts of topics, including a tax break for Black and Latino men, how control over time impacts healthcare workers, the 20th anniversary of the Violence Against Women Act, race and gender in American education, helping more people of color learn to code, fatkinis, an angry response to the NY Times erasure of women of color and the reproductive justice movement, children’s books highlighting QPOC families, and more. If you want to follow along with those articles, you can follow Colorlines on facebook, follow my main twitter feed, or subscribe to my email list. I’m planning to revive it in the coming weeks, and send a weekly-ish email with my latest writing. 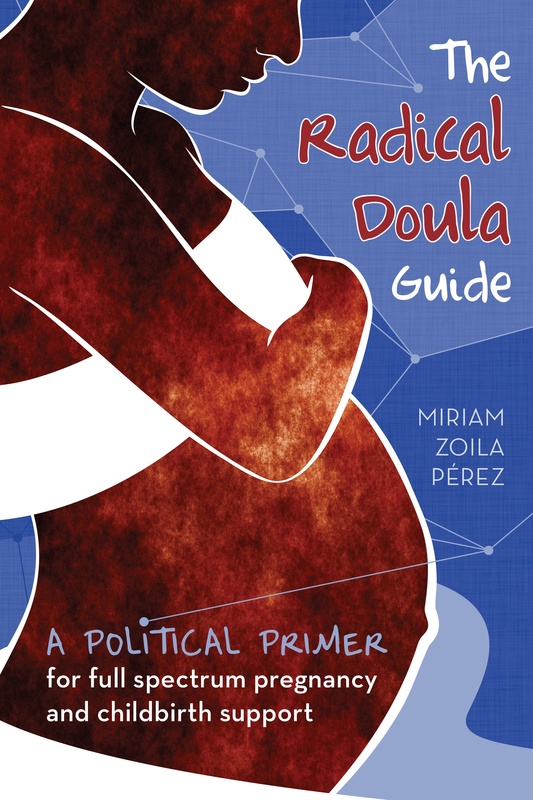 I don’t post everything I write elsewhere here, since I want to keep Radical Doula focused on birth activism and related topics, but these two election related pieces felt relevant to share. I spent Valentine’s Day 2007 at a community center in the Rio Grande Valley of Texas. I was there with a colleague from the National Latina Institute for Reproductive Health (NLIRH) where I was working as an organizer. We’d come to facilitate a reproductive justice advocacy training with a group of local women. They varied in age from early 20s to 50s, and had been gathered by a group of local promotoras—health promoters—who had been working in rural, isolated trailer park-like communities (known as colonias) with no municipal resources (running water, sewer systems, trash collection). I no longer work for NLIRH, but their work in Texas has continued. A new poll they commissioned in late October supports what I experienced that week in South Texas—Latino attitudes on abortion are much less polemic than we’re encouraged to believe. When it comes down to it, the majority of Latino likely voters don’t think politicians should be able to interfere in a woman’s decision regarding abortion. When you look at Tuesday’s election results by gender, it seems that the Democrats and Republicans split the women’s vote pretty evenly, with a few percentage points in favor of Dems. But when you examine that data by gender and race, you’ll get a wholly different picture that highlights an Achilles’ heel for Democrats: white women. Exit polls released by CNN show that white women’s votes went to the Republicans by a margin of 13 percent. Fifty-six percent of white women voted Republican while only 43 percent voted Democrat. And if you look at the numbers for black and brown women, you see just how big the race gap really is. Ninety percent of black women and 67 precent of Latina women voted Democrat. (It’s worth noting that Black and Latino men also voted for Democrats more than white women did—86 and 58 percent respectively.) Even when you break it down by age, the white vote went to Republicans. These numbers mean even more when you consider that white people make up two-thirds of the electorate, with the vote evenly split between white men and women. Considering a lot of progressive effort goes to turning out Black and Latino voters (even though the majority of organizational leadership and staff is white), I think this week’s results show a need for progressives to also figure out how to talk to, and move, white voters.